Reminds me of the kids on subways around here. 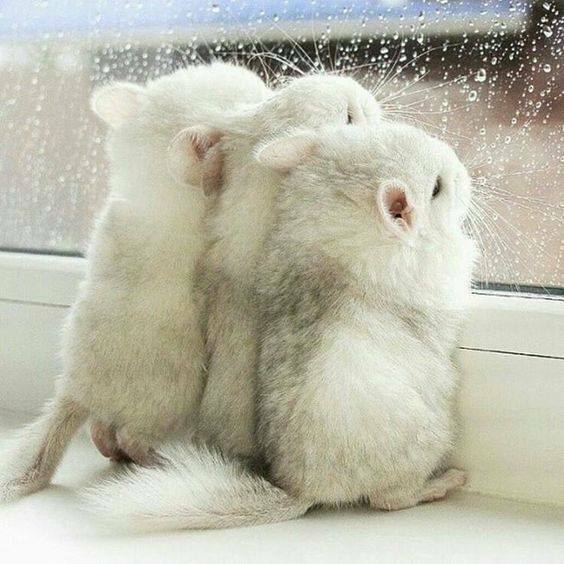 The moment they find a free seat they rotate around, are up on their knees with their noses pressed against the glass. As usual, ignore the commentary. So many lovely pictures !! Have you seen this moose? GOODness. I hope he was rescued ? beautiful creature. Is this something that happens often, a wander up the motor way ? 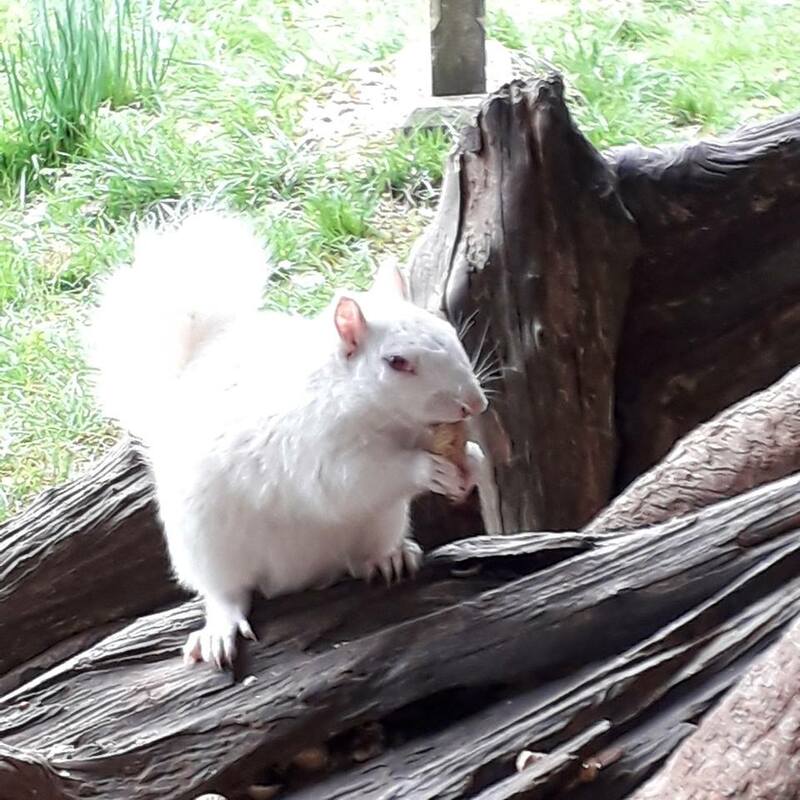 Just one squirrel of many that are white in the park near me It looks so nice seeing the white ones playing with the grey ones. That moose reminds me of the one time I was at Yellowstone national park. Anytime an animal stops near a road there's a backup of cars pulled over for half a mile in both directions. You get out and walk over to see what the excitement is, and there's a moose looking somewhat hacked off, trying to chew his breakfast while surrounded by a ring of tourists with cameras. I mean surrounded. Why they choose to stop by the road beats me: they must know what's gonna happen. Wouldn't seem the bear would have much chance. But he caught one. 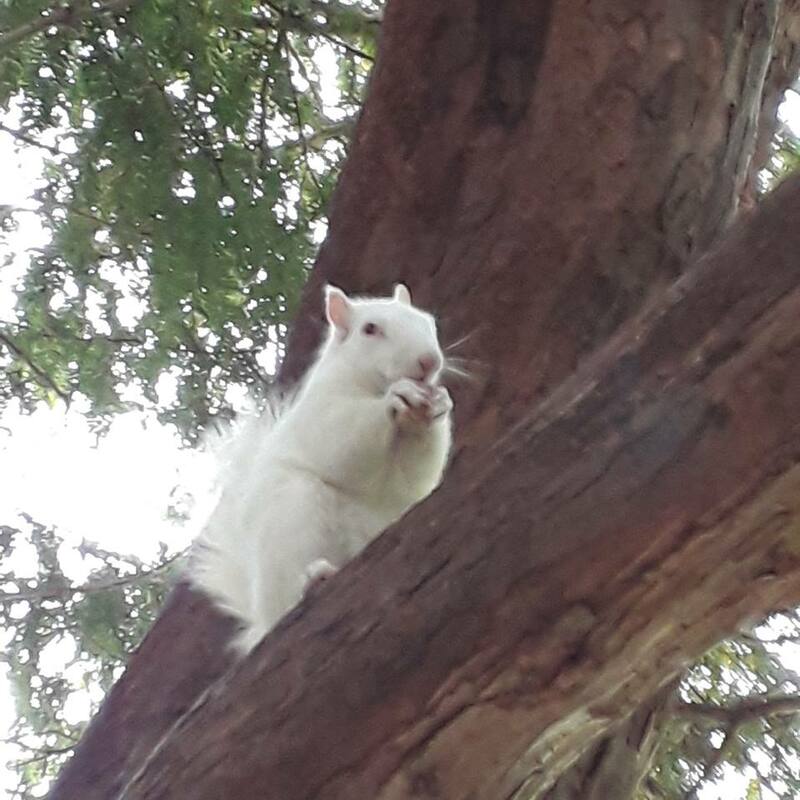 Still can't get over the white squirrels. This is normal? Winter only, praps? Koalas are not ones to take suggestions, are they?